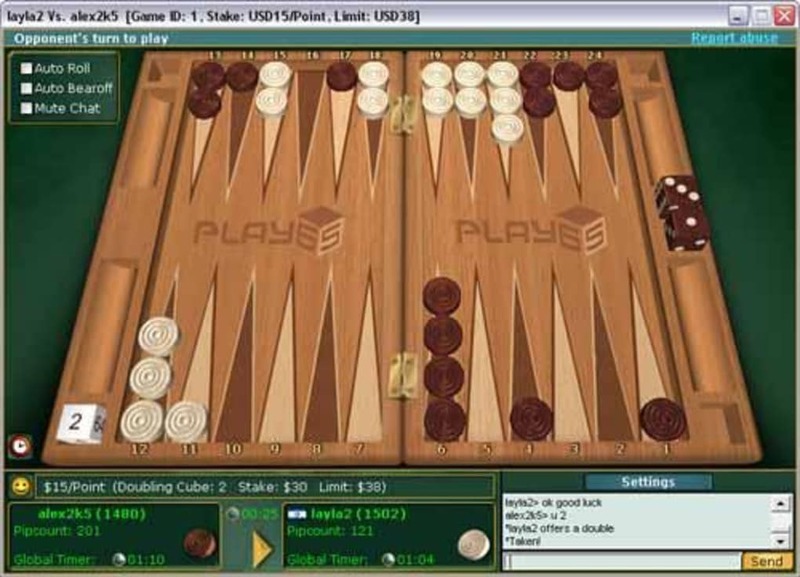 Backgammon is a good, free multiplatform game (also available for Symbian), that is part of the category PC games with subcategory Board Games (more specifically Backgammon). It's available for users with the operating system Windows 98 and prior versions, and you can get it only in English. The game version is 5.0 and was updated on 11/29/2005. Backgammon is a not that heavy game that doesn't need as much storage than the average game in the section PC games. It's a game very heavily used in Romania, Islamic Republic Of Iran, and United States. Since the game was added to our catalog in 2005, it has obtained 104,635 downloads, and last week it achieved 25 downloads. Backgammon Lite offers online backgammon where you can compete with other players from all over the world. The games feature advanced 3D graphics and crisp sounds. You can play using "fun money" or you can play using real money. There is no charge when you play for fun money. Backgammon Lite is completely free and is user friendly.